A marine algae wrap, rich in minerals, vitamins and micro nutrients. This spot reduction treatment activates the circulation and increases the metabolism. Slimming and firming aromatherapy oils applied under the algae ensure an effective contour therapy, excellent for general well-being and total relaxation. 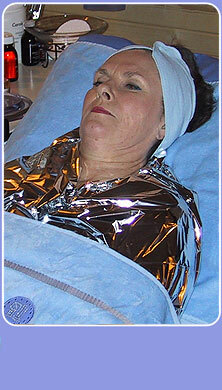 This treatment involves a hot thermal wrap.